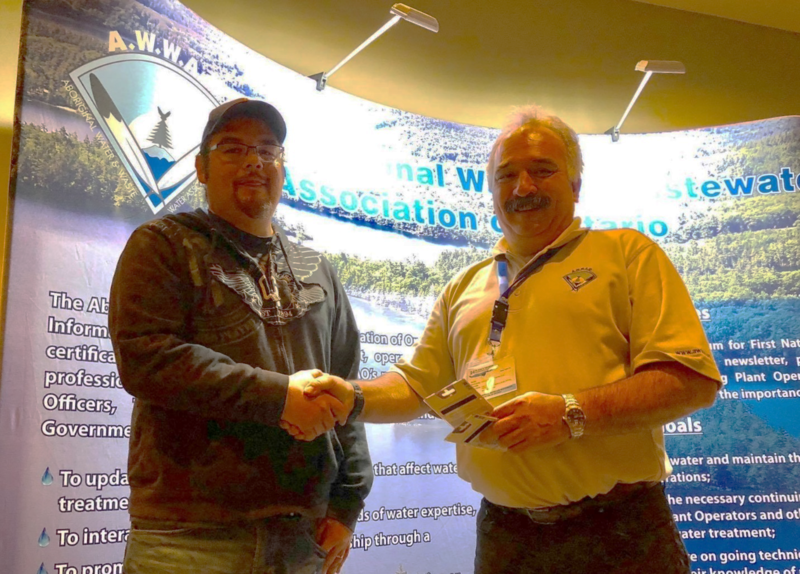 WBAFN congratulates Aaron Beaucage on winning the Aboriginal Water/Wastewater Association of Ontario (AWWAO) operator of the year for Northern Ontario. Job well done! Aaron is the Overall Responsible Operator (ORO) at the Garden Village Water Treatment Plant (WTP), as well as the 9 pumphouses spread throughout the territory. Aaron also assists in the operation and maintenance of the Wastewater Treatment Plant. Aaron holds Class 2 Water Treatment and Class 1 Waste Water Treatment operator licenses.